Congratulations go to Bob Winland (FEP Username: roush235) and his 1979 Mustang coupe as winner of the July Ride of the Month! The story of this ‘79 Mustang began in February of 1979 when Bob, fresh out of college, just married and now fully employed decided he needed a dependable new car so he custom ordered this gem from Ford. The Mustang was special ordered with the 200 straight six and automatic transmission. Bob also chose to add the A/C option and the Sport Option, which brought the options to a total of 20 on the Mustang. The sticker price on the new Mustang was $6880 and Bob paid $6134 to drive it home on April 13, 1979. FEP member Rob Maurice, known on our forums as RSmerc, has been a part of our community since 2008. His featured Capri RS came into his life all the way back in October 1999 when it was purchased as his first car. Rob was infected with a car addiction early in life thanks to his father and thanks again to his father Fords were his vehicles of choice. 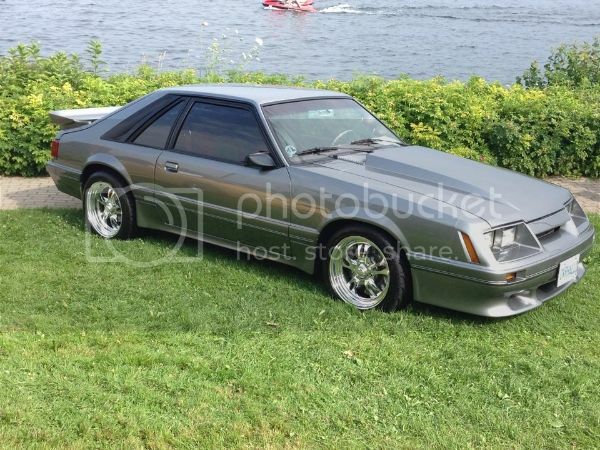 When it came time to get his first car, he knew it had to be a Fox body, but when the opportunity for a unique Mercury Capri rather than the more common Mustang was found on the opposite side of his home town, Rob couldn’t say no. This may look like a mild-mannered Fairmont Futura, but what you're looking at is the origin of a monster. The Gila Monster, to be precise. FourEyedPride.com member Mike1157 has one of the most popular build threads here on FEP due to his display of craftsmanship, creativity and attention to detail. Click here and be ready to be hooked on The Path Less Traveled. Also, if you're a registered member (if you're not, you should be), be sure to subscribe to the thread to receive notification on all future updates!